Cruyff as I see you meant. Yep, hes brilliant in that role. I could possibly sell my club or get Umtiti instead of Ramos and replace Pogba with RTTF Kondogbia but then I’ll have 2 left footed midfielders. Just landed in Div 3 last night for the first time using 442/2. Play a couple of games in division 3 and man it’s sweatie! I think D4 was worse than D3, now I’m in D2 it’s even worse than D4. So many mega squads and my squad is barely worth 3m. It’s hard to stop TOTY Mbappe and CR7 with NIF Varane and Ramos lol. Would you think ADP is a good option? What changes would you do ? 10 games, 2 goals for PIM Bergkamp for me. Seems to me Crespo gets in better scoring positions compared to him. Wow that was fast. Really glad to hear people are enjoying the playstyle! @Nivaze Think Pogba vs Kondogbia depends on your playstyle really. For me I use my cdms almost exclusively to set up goals, and rarely for scoring. In that case I think Kondogbia is the better choice, since the 2*wf and having 2 left footed players shouldnt be too much of an issue. If you use them regularly to get shots on goal, I think Pogba might be better. Personally never really got along with Pogba, although I know he is good. I really like the setup with Messi and Ben Yedder. Having a holdup striker is nice, but I dont think its absolutely necessary. Havent played either, but 5*WF is such an asset to have, especially with first time shots being really strong at the moment. Can not get out something with Neymar. Do not know why. Hows Ben Yedder and Messi working for you? Do you leave them on default? Haven’t tried them yet, waiting on FUT Birthday as prices will drop then. Currently playing with Griezmann and WBY up top and it’s working quite well, they both drop a little bit deeper which makes it really easy to do a simple 1-2 and you’re 1v1. Thinking of selling my team too. But idk I might just ride it out and pick up baragains on Friday. Whats your squad currently like? If you have a squad you’re happy with I wouldn’t sell up and just keep it how it is. If you’re looking to replace players I’d sell and wait till friday. @Jdreew sold up most of my team. Waiting till TOTS unless I see a huge drop in something I really want. Damn, if I sell up I'm taking a huge loss lol. I’m kinda torn between selling up or keeping the team every time, might just get my team when FUT Birthday drops and roll with it till TOTS drops and save all my packs/coins till then. It’s annoying to keep worrying about the coins and wether the players will drop or not. 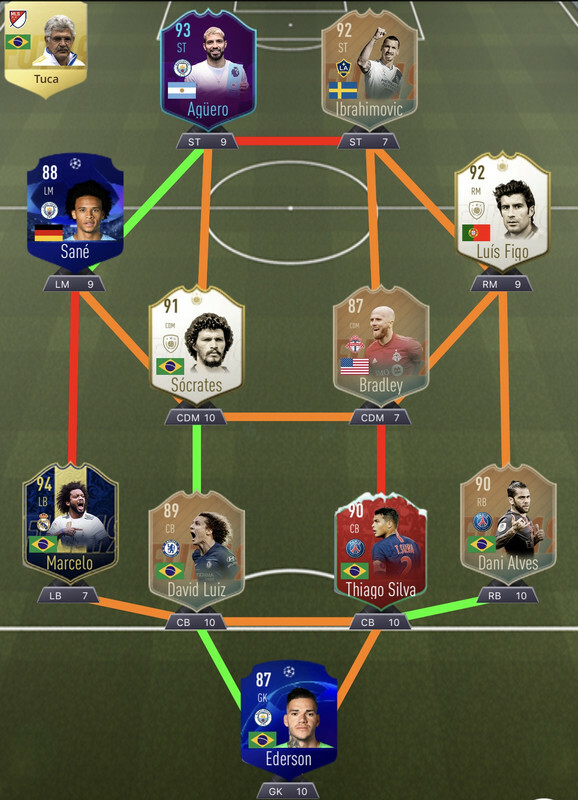 I first started playing FUT in 2017 and I started in April and still ended up with a full TOTS team in the end without spending a dime so I shouldn’t mind my players going down, in the end it’s about playing with a team you like. Should I sell 90 Gullit? I wouldnt. Cards that will drop the most are the normal gold cards, especially if they are overpriced, like Mbappe for example. Icons usually hold their value a lot better. Just played a draft where I had 97 Messi, 86 WBY and RTTF Kondogbia in a 442 flat. Kondogbia is a monster! He brings so much more than Pogba does. The interplay between Messi and WBY was great too, WBY drops deep and Messi kinda sits a little bit further up which makes him great for a 1-2 or he can pass it on to the wingers and he ends up roaming around the box for an easy tap in. Also I’m pretty impressed by HL Dembele, made some great runs probably due his workrates. Makes me kinda hyped to build the squad I posted earlier with Kondogbia and Petit as CDMs. Also really looking forward to RTTF Kondogbia. The normal card already is one of the best budget cdms in the game for me. His combination of height and strength is just made for this FIFA, and despite his workrates he tracks back extremely well. His high strength and aggression with his bodytype is really noticeable, and he has great passing. I’m only not sure what chem style to use. Engine to boost his balance and overal dribbling and passing or shadow to boost his pace and defensive stats. First time i got Rivaldo to shine like a icon. Untradable and always on the bench, now in tis formation ill be using him as my right striker. Because of fut bday i sold all tradables including this team, im considering buying it back as my fitness team. Will try this squad soon. First time I tried 442(2) it didnt work out for me. Will try a more possesion style play. Nothing was working for me last night. My players went into stupid mode. I had Cech taking a tumble and then throwing the ball right at my opponent's striker for a tap in. VVD and Sokratis running into each other and both falling over like the 3 Stooges. Henry and Grizi missing open nets and simple chances with a low driven. My fullbacks playing CB letting NIF Willian and Jesus easily in open space. 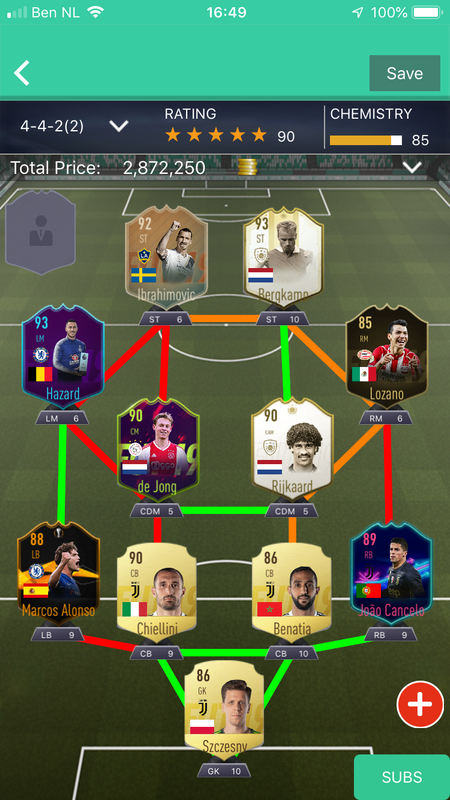 Give the new custom tactics I posted a try. Same defensive wise, but a bit easier to create goals with.